Why Do We Love Holiday Parties, Anyways? Even this picture makes you feel festive, right? Have you ever thought about why we all love holiday parties? Work can be the busiest it has ever been. But, well, something magical happens the day of the holiday party- it seems like no one has a care in the world… at least for that day. It’s actually quite refreshing with all of the pressure surrounding this time of year! 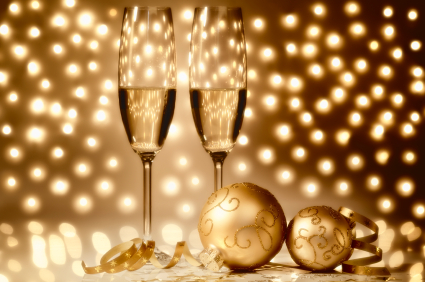 So, whether at your holiday party (or if you’re virtual like us, your holiday videoconference!) remember to take some time to celebrate. Cheers to a fabulous end to 2014, and making 2015 an even better year! This entry was posted in Holiday and tagged Advice, celebrate, coaching, Holiday, Holiday Party, inspiration, lead people, Lead Well, leadership, Party, personal development, perspective, purpose. Bookmark the permalink.